A little-known Holocaust hero saved thousands, including a boy who became a University of Utah professor. Hundreds of Utah teen musicians will tell the story. (Chris Detrick | The Salt Lake Tribune) Barlow Bradford conducts members of the Utah Youth Orchestras & Ensembles perform "The Apotheosis of Aristides," during a rehearsal at Utah Opera Saturday, January 13, 2018. Daniel Mattis was 7 when his family narrowly escaped the Holocaust, leaving on the last train out of Brussels, Belgium, before Nazis bombed the tracks behind them. The family made it to Bordeaux, France, where they were among tens of thousands of Jews and other refugees who got visas signed by Portuguese consul Aristides de Sousa Mendes — in defiance of a dictator’s order — in June 1940. 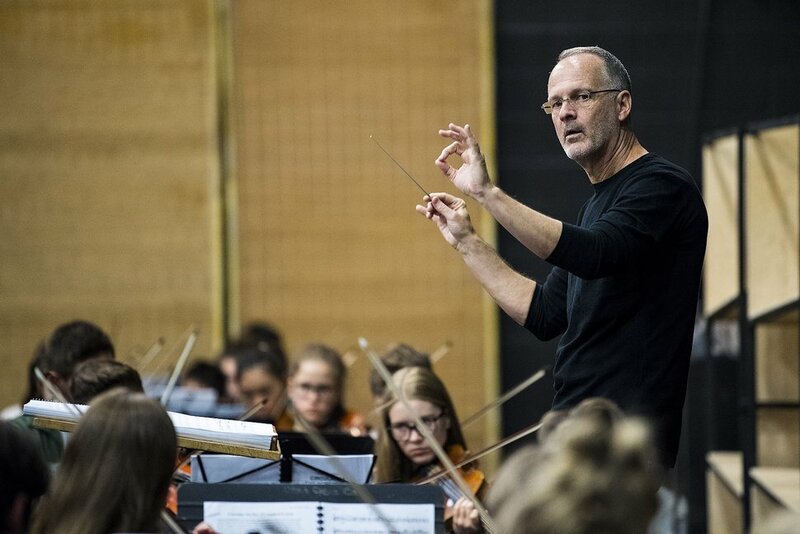 Mattis, now a University of Utah emeritus professor of physics, will be in the audience Saturday when the Utah Youth Orchestras and Ensembles present Neely Bruce’s “Circular 14: The Apotheosis of Aristides,” an oratorio dramatizing Sousa Mendes’ act of conscience. Salt Lake resident Ari Mendes, a grandson of the diplomat, also will be there. 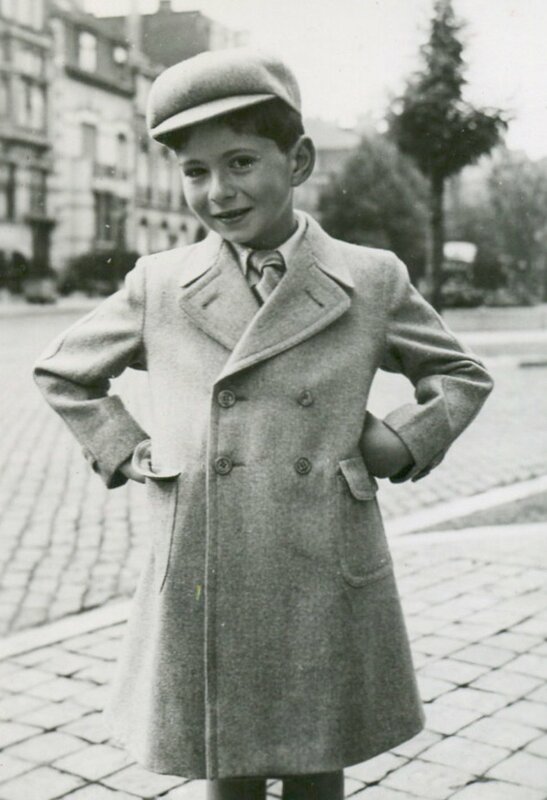 (Courtesy of the Sousa Mendes Foundation) Daniel Matuzewitz, now known as Daniel Mattis, is shown in Brussels, Belgium, at age 7 in 1940, shortly before becoming a refugee. (Rick Egan | The Salt Lake Tribune) Daniel Mattis is pictured in his Salt Lake City home Jan. 20, 2018. The free concert at the Salt Lake Tabernacle, which also features hundreds of singers from the University of Utah and high schools statewide, coincides with the International Holocaust Day of Remembrance. “It feels like a celestial thumbs-up,” bassist Dante Zubel, 17, who travels from Vernal weekly to rehearse with Utah Youth, said of the timing. The State of Israel in 1966 recognized Sousa Mendes as Righteous Among the Nations, a distinction he shares with better-known Holocaust rescuers such as Oskar Schindler and Raoul Wallenberg. Why isn’t his story as widely known? Bruce and Utah Youth music director Barbara Scowcroft said one reason was Portuguese Prime Minister Antonio de Oliveira Salazar’s ruthless efficiency in erasing Sousa Mendes from history. (Courtesy of the Sousa Mendes Foundation) Portuguese Consul General Aristides de Sousa Mendes in 1940. Sousa Mendes was stationed in Bordeaux in November 1939 when Salazar issued “Circular 14,” instructing diplomats not to assist refugees, particularly Russians, Eastern Europeans and Jews. Thousands of refugees funneled into Bordeaux, including Sousa Mendes’ friend Chaim Kruger, a Polish rabbi. Sousa Mendes offered to sign Kruger’s visa into Portugal, which was neutral politically during World War II. But the rabbi asked that the consul assist the other refugees. “[Sousa Mendes] didn’t want people to suffer, but he didn’t want to disobey a direct order,” Bruce said. Sousa Mendes’ assistant, wife, children and Kruger helped process the papers, with some of them forging the diplomat’s signature. They worked day and night as Salazar’s secret police closed in, eventually moving their operation to Bayonne and then to a tiny border town. (Courtesy of the Sousa Mendes Foundation) Refugee advocate Rabbi Chaim Kruger, left, with Consul General Aristides de Sousa Mendes of Portugal in 1940. It’s impossible to know exactly how many visas were signed, Bruce said, because only the first few hundred were registered. The secret police put the number at 40,000, but 30,000 is the generally accepted figure. Among those saved by Sousa Mendes were “Curious George” authors H.A. and Margret Rey, film director King Vidor and the family of artist Salvador Dalí. Actor Michel Gill, narrator of Saturday’s concert, is a son and grandson of visa recipients. Mattis became a U.S. citizen after graduating from the Massachusetts Institute of Technology; he met Noemi Perelman, who also escaped the Holocaust as a child, on a return visit to Brussels, and they married in 1958. Their daughter, Olivia, a musicologist and historian, co-founded the Sousa Mendes Foundation in 2010. She asked Bruce to set the story to music after a brief Facebook interaction. “It took me a matter of seconds to agree,” the composer said. He began researching the story right away. He started writing the music while on a tour of Sousa Mendes historical sites, organized by Olivia Mattis, in 2013. Scowcroft and the Mattis family attended the premiere of a chamber version of the two-hour oratorio in Los Angeles two years ago. Saturday’s performance will be the first with a full orchestra. 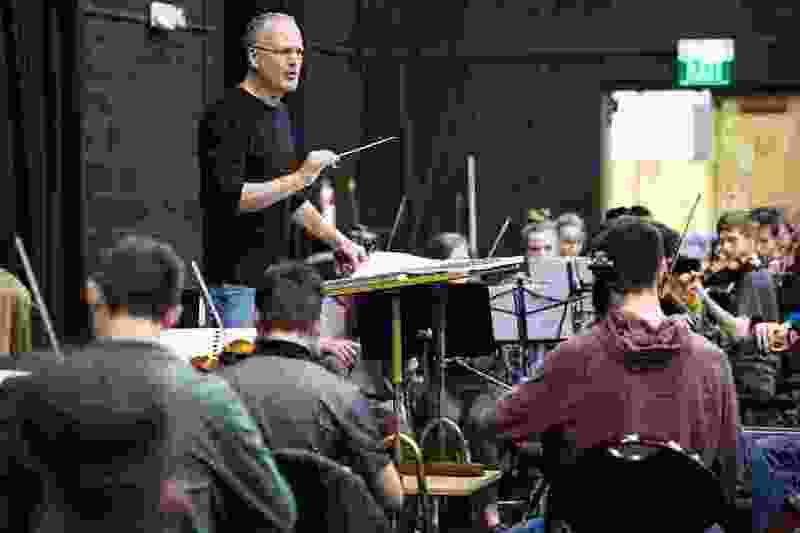 (Chris Detrick | The Salt Lake Tribune) Barlow Bradford conducts members of the Utah Youth Orchestras & Ensembles as they recently rehearse "The Apotheosis of Aristides." Several members of the youth orchestra talked about the score during a recent break in rehearsal. Its vivid depiction of events, such as a series of eighth notes repeating over and over in the strings to represent the assembly line of signing and stamping documents, appealed to them. Though the teen musicians had learned about other Holocaust heroes, Sousa Mendes’ story was new to them. “It teaches us both the kindness of humans and heroism when you least expect it,” said violinist Maya Miro Johnson, 16, of Salt Lake City. When • Saturday, Jan. 27, 7 p.m.